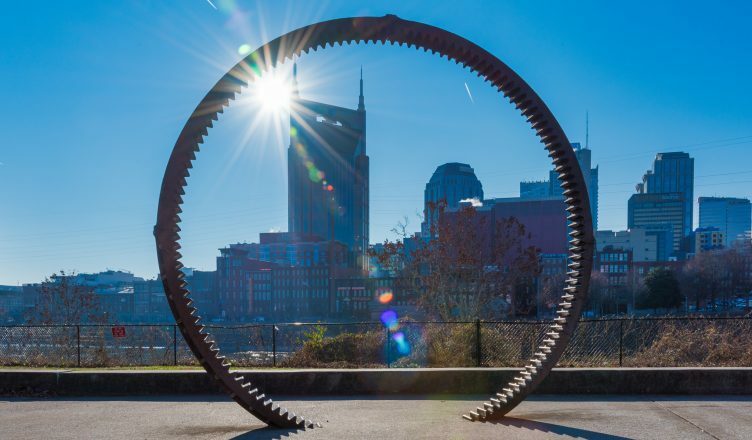 The State of Tennessee is investigating Nashville’s use of tax incentives because officials say that parts of downtown are blighted and unsafe. The incentives are given to developers to improve an area. The market for hospitality workers is definitely a great one for job seekers, with hotels and restaurants struggling to fill open positions. Officials have cited the rising cost of living as a possible explanation. Two firefighters were injured and four pets died in an Inglewood house fire Wednesday evening. The blaze reignited later on that evening. As long expected, Murfreesboro did name a bridge “Bridgey McBridgeface” during an April 1 ceremony. No word yet what it is being named today. WKRN aired a wide-ranging interview with Mayor David Briley about his first few weeks in office and the challenges ahead. Interesting trvia: he is using the same desk that Nashville’s first mayor did, his grandfather Beverly Briley. Buzzfeed wrote about Nashville’s bachelorette party scene, in case you really need to be reminded about it. Note that Pinewood Social does not have a rooftop bar, no matter what the article says. Cloud IX, the shuttered hookah bar and event space in East Nashville, is back in the news with police alleging the location was the site of a drug ring and money laundering scheme. The owner of the building had said the business hadn’t paid rent in the months before closing. Taylor Swift apparently was spotted shooting Fireball and singing some tunes at Bluebird Cafe. In our experience, nothing good comes from a fireball night, but folks looked entertain. The local FBI office went to the Vanderbilt Monroe Carol Jr. Children’s Hospital with robots to entertain the kiddos for Easter. It was probably nice to see a smile when agents knocked on the door. A shoplifter was said to have been spotted jumping into Old Hickory Lake to evade police, though they say that report turned out to be false. No idea what the witnesses thought they saw. ‘Property Brothers’, a popular television show on HGTV, plans to build two homes in Nashville in collaboration with Habitat for Humanity. The first one will be built off Brick Church Pike in North Nashville. Nashville’s police chief Steve Anderson participated in a 24-year tradition of “confiscating” the bread from the West End Synagogue for Passover. Photo by Tim Bounds. Want to see your photo featured here? Thursday News Rodeo: New Titans Uniforms, Disallowed Goal, and MLK, Jr.